Is Solar Energy Right for Your Business? Here's How to Save Money. Adding solar arrays to a commercial or industrial building can significantly reduce your operating and energy costs and make your business more profitable. Going solar also provides the added benefit of lowering your carbon footprint and making you a better partner in the community. 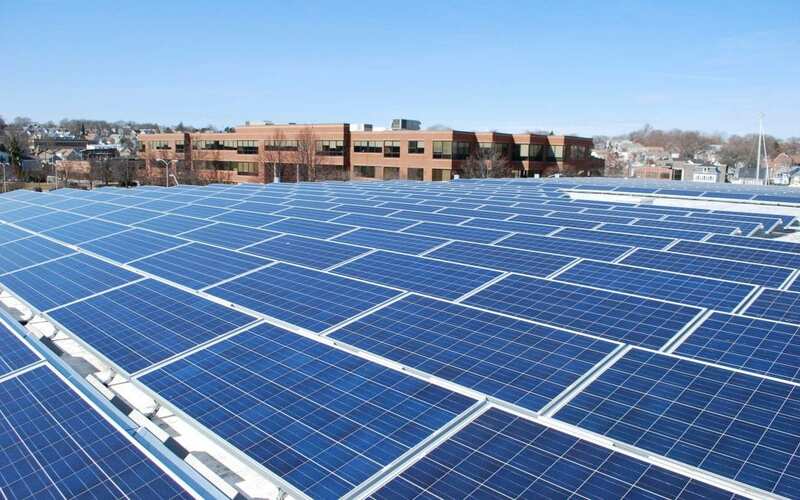 A decade ago, commercial solar installation in CT was only an option for corporate giants like Wal-Mart and Target. With solar component prices at current levels and various programs, incentives and accounting techniques at their disposal, all varieties of businesses are finding it hard to resist the benefits associated with a low-risk high-yield investment in solar. Business executives, constantly looking for an edge over their competition, have gone from asking whether their organization could afford to invest in solar to ‘can we afford not to invest in solar?’. Solar is no longer a fad and its popularity continues to grow because its implementation is a sound business strategy. Consider these facts from the U.S. Solar Market Insight Report, Q2 2016. The U.S. installed 1,665 MWdc of solar PV in Q1 2016, increasing 24% over Q1 2015. This is the largest non-Q4 quarter in the history of the U.S. solar industry. Does your business require a considerable amount of power? Are you operating in a state where the cost of electricity is high? 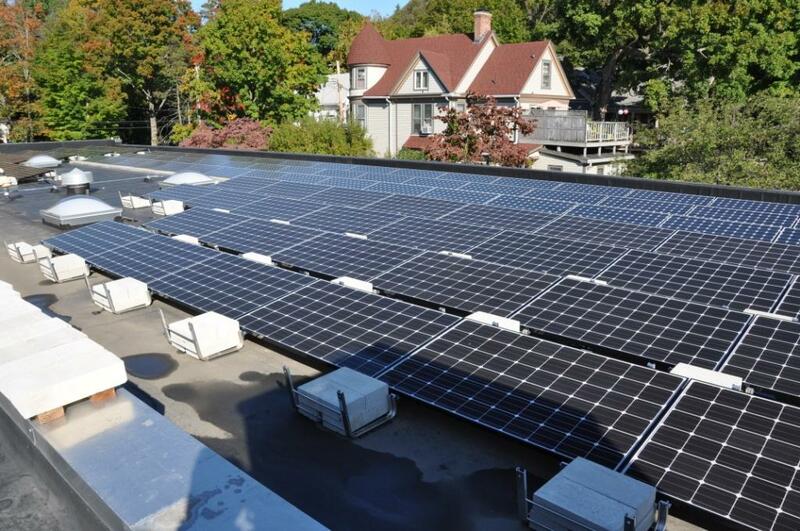 Do you have available land or roof space for a solar array installation? Does the area where you might locate a solar array receive adequate sunlight? Would you consider an investment in solar if your business would become more profitable via a reduction in operating expenses? If the answers to the above questions are mostly positive, adding solar may be right for you and your business. The first step is to find a knowledgeable solar contractor. They should have the experience and expertise to design, engineer, procure and install the system. And, the commercial solar installer you choose should be able to provide information on all of the programs, incentives and accounting techniques available so you get the greatest return-on-investment. Sun-Wind Solutions is experienced in all of these areas. How big does my commercial solar power system need to be? What is the compass orientation of your roof? Solar panels that face directly south harvest the most energy, but east- or west-facing solar panels can work as well. What is the panel angle/tilt on the roof? A flat roof typically uses racking that puts the solar panels at a 10 degree angle. Sloped roofs use racking that is flush-mounted. Shading: The less shade you have, the better. Do you have enough usable space to fit the number of solar panels required to generate a harvest equal to your annual need? Sun-Wind Solutions can help you with answers to all of the above and design a system that’s right for you. What costs are involved in a typical commercial solar energy installation? What programs and incentives are available to help pay for the solar energy project? Business Energy Investment Tax Credit (BEITC) – The full cost of your solar array; hardware and installation (everything listed above) is eligible for a 30% credit in year one. MACRS (Depreciation – 5 Year Property) – You are allowed to depreciate the full cost of the system, less half of the value of the BEITC. ZRECs (Zero-emission Renewable Energy Credits) and On-Site Production and Consumption – Reduce your retail electricity purchases AND get paid for it. You create renewable energy (electricity) through a qualifying generator (your solar array). You then consume the energy produced (reducing your retail electricity purchases). Then you get paid a set amount for each ZREC you have created. One REC is equal to the production of 1 MWh (mega-watt hour). RECs are created and rewarded quarterly each year for the 15 year life of the contract. 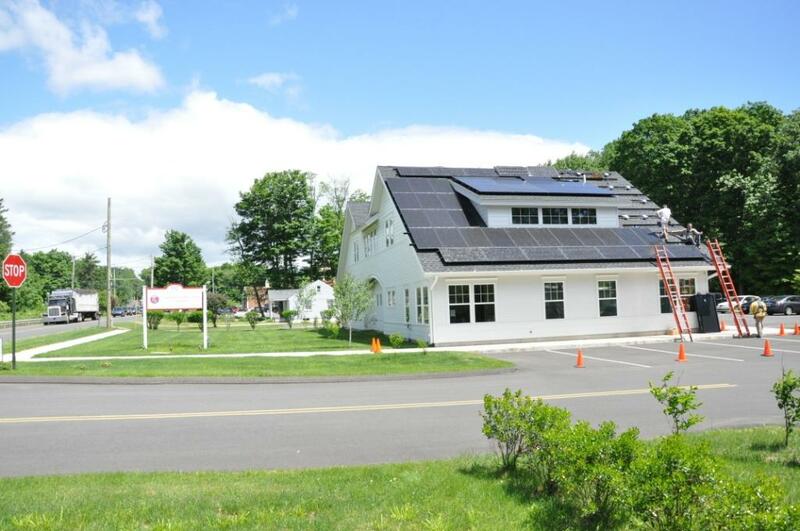 C-PACE (Connecticut – Property Assessed Clean Energy) – If your solar power project meets certain eligibility requirements, PACE is a tax-lien financing program that allows property owners to obtain lower interest financing of solar projects by structuring it as a property tax assessment. How can a good commercial solar contractor add value to the project? Your current rate structure and how much you are paying today. Anticipated rate increases over the 25 year useful life of the system. Anticipated array production / savings on your current bill. If you think solar may be right for your business, please contact Sun-Wind Solutions today at (203) 255-3714, or fill out our online form so we can begin the process today. It could be one of the best business decisions you will ever make. Visit our Commercial Solar page for more information.